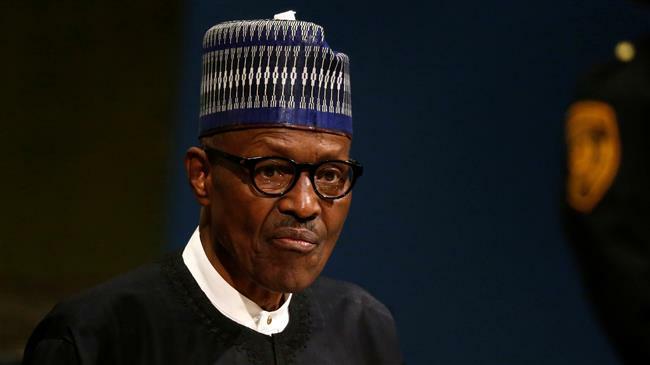 Nigerian President Muhammadu Buhari won a second term at the helm of Africa’s largest economy and top oil producer, the electoral commission chairman said on Wednesday, following an election marred by delays, logistical glitches and violence. He defeated his main opposition candidate Atiku Abubakar, a businessman and former vice president. 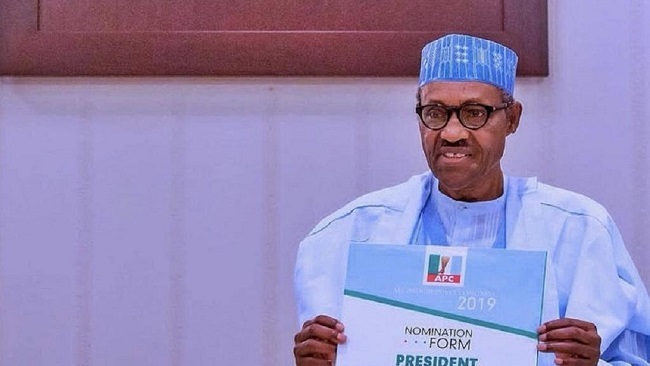 Buhari secured 56 percent of votes, compared with 41 percent for Atiku, a candidate for the People’s Democratic Party (PDP). Addressing supporters at the campaign headquarters of his All Progressive Congress (APC) party in the capital Abuja, he promised increased efforts to tackle these issues. “The new administration will intensify its efforts in security, restructuring the economy and fighting corruption,” he said. The president won by 3.9 million votes, having garnered 15.2 million to Atiku’s 11.3 million. The election turnout was 35.6 percent, the electoral commission said, which compared with 44 percent in the 2015 presidential election. A message on Buhari’s Twitter feed late on Tuesday showed him smiling and surrounded by applauding staff at his campaign office. “I met the very hardworking members of our team, many of them young people, and was briefed on the performance of our party so far in the Presidential Elections. I am very proud of what has been accomplished,” he said on Twitter. Buhari’s supporters gathered at the party’s headquarters to celebrate, many of them holding flags and dancing. “As a youth of Nigeria I believe this is the way forward for this country and for my generation and that is why we choose to bring him back for the second time,” said Juwarat Abubakar, a Buhari supporter. Osita Chidoka, a representative of the PDP and its defeated candidate Atiku, repeated the party’s stance that it does not accept the election result. “We will explore all options including the belief that the legal process in Nigeria is one of the ways to resolve issues,” he said. Buhari’s party has said the opposition was trying to discredit the returns from Saturday’s election. 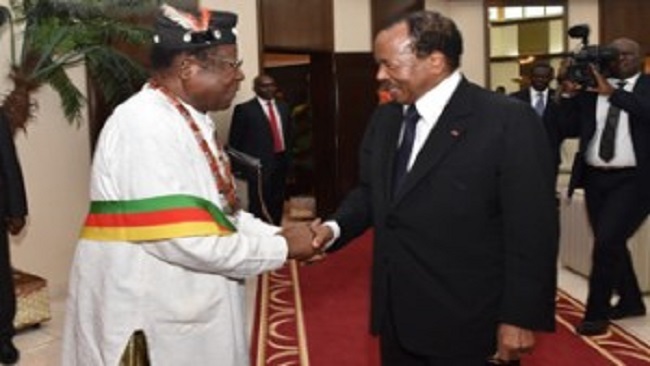 The accusations have ratcheted up tensions in a country whose six decades of independence have been marked by long periods of military rule, coups and secessionist wars. 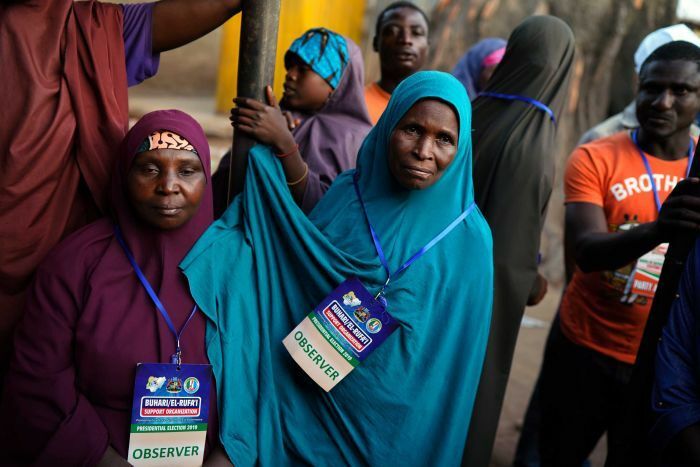 Observers from the Economic Community of West African States, the African Union and the United Nations appealed to all parties to await the official results, expected later this week, before filing complaints. The candidate with the most votes nationwide is declared the winner as long as they have at least one-quarter of the vote in two-thirds of Nigeria’s 36 states and the capital, Abuja. Otherwise there is a second-round run-off. Buhari secured enough votes to meet both requirements. Atiku, 72, had said he would aim to double the size of the economy to $900 billion by 2025, privatise the state oil company and expand the role of the private sector. Voting took place after a week-long delay which the election commission said was due to its inability to get ballots and results sheets to all parts of the country. The event – Africa’s largest democratic exercise – was also marred by violence with at least 47 people killed since Saturday, according to the Situation Room, a monitoring organisation linking various civil society groups. Some deaths resulted from clashes between groups allied to the leading parties and the police over the theft of ballot boxes and allegations of vote fraud. Police have not yet provided official casualty figures. Current President Muhummadu Buhari, 76, a former military ruler is seeking a second term on an anti-corruption platform. He faces off againstbusinessman Atiku Abubakar, 72, a former vice president who has promised to expand the role of the private sector. The election was held on Saturday, but violence and problems with electronic voting machines meant voting continued in a small number of places before polls closed on Sunday. The ballot was initially due to take place last week, but was postponed just hours before it was due to begin, with the authorities citing logistics. 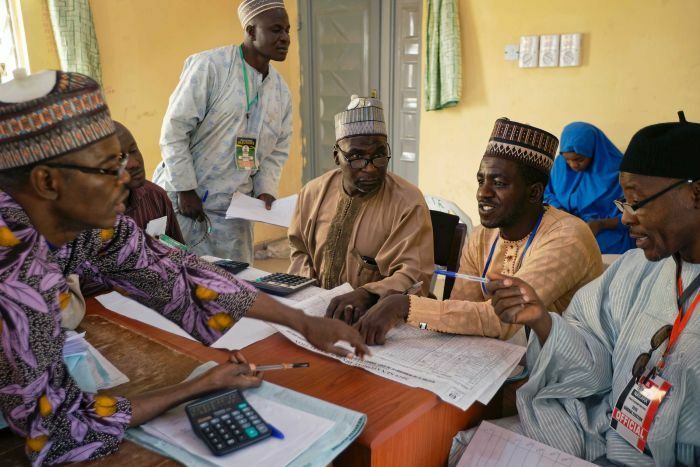 Nigeria’s 73 million eligible voters chose from a pool of more than 70 presidential candidates, although only those from the two main parties — Mr Buhari and Mr Abubakar — are seen as having a chance. The President last year publicly denied social media claims he died and was replaced by a Sudanese clone, and also courted international controversy in the past by suggesting his wife “belongs in the kitchen”. The Situation Room — which represents more than 70 civil society groups — gave Sunday’s figure of 39 deaths, citing data from Lagos-based consultancy SBM Intelligence. In one incident, seven people were killed in a shootout between Nigerian army troops and a gang.PMahmood Yakubu, chairman of the Independent National Electoral Commission (INEC),said an electoral official had been shot dead by unknown people. The president’s office declined to comment, while the opposition candidate Mr Abubakar condemned the violence in a statement. “No politician’s ambition is worth the blood of any innocent Nigerian,” he said. The number of deaths reported by Sunday was below the final death tolls in previous elections in Africa’s most populous country, but in the past most unrest has taken place after results were announced. A credible and relatively calm poll would open a new chapter in the chequered political history of Nigeria, where nearly six decades of independence have been tarnished by military coups, endemic corruption and secessionist movements. “From Tuesday onwards we should have a substantial number of results,” said Festus Okoye, an election commission official. The contest between Mr Buhari and Mr Abubakar, commonly called “Atiku”, hinges on revamping an economy struggling to recover from its first recession in 25 years, which it slipped into in 2016 and emerged from in 2017. Nearly a quarter of the workforce is unemployed, while the cost of living has also risen rapidly. Mr Buhari has focused his campaign on rooting out corruption, but critics say there have not been any significant convictions in his first term. Mr Abubakar has said he would aim to double the size of the economy to $900 billion by 2025. An attack in northeastern Nigeria by suspected Islamist militants just hours before polls were set to open in Nigeria’s presidential election Saturday underscored the challenges confronting Africa’s most populous nation. Nigerians began voting for a new president Saturday after a week-long delay that has raised political tempers, sparked conspiracy claims and stoked fears of violence, including terrorist attacks and post-electoral unrest. Just hours before polls were set to open, suspected Islamist attacked a northeastern Nigerian town, forcing residents to flee. Around the same time a Reuters witness said blasts were heard in Maiduguri, the capital of the neighbouring state of Borno. Northeast Nigeria has been hit by the decade-long Boko Haram insurgency with attacks in recent months carried out by offshoot Islamic State in West Africa Province. Some 120,000 polling stations were due to open across the country, from megacity Lagos and the oil hub Port Harcourt in the south, to ancient Kano in the north and the country’s rural heartlands. The 2019 presidential campaign has been a crowded one, with 70 challengers running against incumbent President Muhammadu Buhari, including the main opposition party candidate, Atiku Abubakar. The election, due to be held a week ago, was postponed around five hours before polling stations were set to open and there are concerns that the delay may hurt turnout. The electoral commission blamed logistical factors for the delay and denied political pressure was behind the decision. Presidential elections in 2011 and 2015 were also delayed over logistics and security concerns but Buhari on Friday urged Nigerians “to go out and vote”, promising that there would be adequate security for the ballot. The biggest challenge facing Nigeria’s next leader is revamping an economy struggling to recover from its first recession in 25 years, which it slipped into in 2016 as crude prices crashed and militants attacked energy facilities in the Niger Delta. Crude sales make up 90 percent of foreign exchange earnings. “Instability is a rising concern but a weak economy is being felt in all sectors and country-wide so we believe it will be the preeminent voter concern,” Benedict Craven, analyst at The Economist Intelligence Unit, told AFP. Buhari’s critics say his much-touted focus on rooting out corruption may be offset by his handling of the economy. Despite the president’s campaign against graft, there have not been any significant convictions in his first term. Nearly a quarter of the workforce is unemployed, much higher than when Buhari, a former military ruler who was later elected president, took over in 2015. The cost of living has also risen rapidly, with inflation of 11.37 percent in January – just short of a seven-month high reached the previous month. Buhari is the flagbearer of the ruling All Progressives Congress (APC) while Atiku spearheads the main opposition People’s Democratic Party (PDP). Both candidates have promised to address Nigeria’s economic problems. The pair are both Muslims from the north of the country. The south has favoured the PDP in the past, while the north is Buhari’s stronghold. The number of eligible voters stands at 72.8 million people. To be declared winner, the candidate with the most votes must have at least one quarter of the vote in two thirds of Nigeria’s 36 states and the capital. Otherwise there is a runoff. This is more than idle rhetoric. Buhari, an ex-general who led a short-lived military junta in the 1980s, was elected president in 2015 by Nigerians who (like this writer) accepted his claims to be a “reformed democrat.” However, his four years in office have highlighted the difference between accepting the principle of elective government and being a true democrat. In Nigeria, like elsewhere in today’s world, the biggest threat to democracy comes not from generals instigating coups but from authoritarians-at-heart winning elections, only to use their democratic mandate to rule anti-democratically. Half of Nigeria’s 59-year post-colonial history has been spent under various military dictatorships, but this year marks the 20th anniversary of the return to democratic rule. While the country has seen its fair share of ups and downs during this period, some tangible progress has been made in the spheres of freedom of expression, judicial independence, rule of law, and general civil liberties—and certainly in comparison with the military era. In the past four years, however, Buhari’s government has serially ignored court orders, harassed and arrested journalists and activists, deployed security services to intimidate political opponents, and unforgivably sanctioned the killings of hundreds of unarmed civilians on multiple occasions with the impunity of a power-drunk dictatorship. Yes, security services have been known to overreact even in advanced democracies, and civilians sometimes get hurt in the process. But what distinguishes governments committed to upholding fundamental human rights—such as the right to not be killed while demonstrating peacefully—are the post-incident actions they undertake to ensure such tragedies never repeat themselves. No such luck with the Buhari government. Following the recent army killing of unarmed protesters in October 2018, rather than express remorse, Nigeria’s army brass falsely claimed that demonstrators had attacked soldiers who simply did what President Donald Trump told U.S. soldiers to do in the same situation: start shooting. Such callous impunity can only thrive in an army confident that its commander in chief will indulge such excesses. Buhari is, by any reasonable standard, personally responsible for the killings of unarmed civilians going unpunished under his watch. The international community is thus right to raise concerns about whether the upcoming election will be free and fair. On Feb. 16, Nigerians will be choosing not only their president but also their national assembly. Taking into consideration Buhari’s dismissive behavior towards the judiciary, a potentially rigged clean sweep of the executive and legislative arms of government by himself and his party could usher in an era of dangerously centralized power imperiling Nigeria’s modest democratic gains since the end of military rule in 1999. As of today, there are no credible polls indicating who might win the presidential election, and it is probably a toss-up. The fact that Buhari still retains significant support among Nigerians despite his anti-democratic behavior requires explanation. One major reason is that Nigeria’s top political actors are all so morally compromised that an appeal by any of them to higher principles can always be persuasively dismissed by their opponents as hypocritical nonsense. Walter Onnoghen, the chief judge whom Buhari suspended, is claiming unconvincingly that it was due to “forgetfulness” that he did not disclose several sizable foreign currency accounts in his asset declaration. Moreover, prior to his suspension, he used his position to obstruct investigations into the matter. Corruption runs deep in the highest echelons of Nigeria’s judiciary. Many regular citizens thus feel scant sympathy for judges being muscled by the executive. They’re seen as part and parcel of the country’s corrupt elite, certainly no friends of the ordinary man. Nigerian politics suffers from a moral vacancy, an acute shortage of credible political actors who could plausibly champion democratic values and set standards that others feel compelled to live up to. Ignoble actors evoking noble values they rarely uphold do not make for effective democratic role models. Hence many Buhari supporters remain unmoved by opposition claims that he is a danger to Nigeria’s democracy. To them, his rivals are hardly better democrats. Moreover, many Nigerians still see Buhari as, if not incorruptible, definitely far less corrupt than rivals like Atiku. It also needs to be said that some Nigerian voters support Buhari precisely because of his strong-arm tactics. In a society where the corrupt always seem to have the upper hand and always seem able to defy institutional attempts to bring them to book, it is understandable that the instinct for some basic societal justice can easily translate into an impatience with institutions that appear stacked with people unable or unwilling to deliver basic justice. This creates the opportunity for populist authoritarianism to hold significant appeal. Buhari’s justification of his suspension of the chief judge appealed directly to this societal hunger for justice. Pointing to Onnoghen’s attempts to frustrate investigations into his false asset declaration, he argued: “If justice cannot be done and clearly seen to be done, society itself is at risk of the most unimaginable chaos.” Nigeria’s political reality is stubbornly defiant of any simple good versus evil narrative. In the final analysis, however, Buhari’s authoritarian actions cannot be described as anything other than detrimental to Nigeria’s democracy. The judiciary, as flawed as it is, has played a stabilizing role in post-election disputes, which in a country as volatile as Nigeria always have the potential to descend into violent confrontation. In a society as ethnically and religiously divided as Nigeria’s, democracy is as fragile as an egg; if not handled carefully, it could drop and shatter into a thousand pieces impossible to glue back together. That’s why it’s critical for the country’s judiciary to get reformed and strengthened by rooting out corruption within its ranks rather than suffering diminishment by Buhari. In practical terms, this would require corrupt judges to be weeded out by their peers, rather than by the politicians they are meant to hold accountable. Irrespective of who wins the Feb. 16 election, the next few years must be spent ensuring that cornerstone values—such as rule of law, equality before the law, accountable government, free and fair elections, the right to nonviolent protest, and a free press—become sacred nonnegotiables in Nigerian public life, the democratic equivalent of the Ten Commandments. These are the dogmas of democracy, and only those who uphold them are truly worthy of calling themselves democrats. Corruption is taking centre stage in the run-up to Nigeria’s presidential elections, with the incumbent accused of failing to tackle the scourge of graft and his challenger facing claims about his past. Muhammadu Buhari, an austere and pious former general, will take on wealthy former vice-president Atiku Abubakar at the polls on February 16. Both are ethnic Hausas, Muslims from the country’s north. Buhari, who rose to power in 2015 on a promise to eradicate the “cancer” of graft gnawing at Africa’s most populous nation, has cultivated an image of blamelessness. Bola Tinubu, Nigeria’s political “godfather” closely allied with Buhari, earlier this month described him as “a straight and honest man”. “Leave a naira (local currency) on the table with Buhari in the room. You will find the naira on the table when you return,” he said, in a thinly veiled criticism of Abubakar. For his part, Abubakar is alleged to have amassed several hundred million dollars by misusing public funds as vice-president under Olusegun Obasanjo between 1999 and 2007 — yet he has never been investigated in his own country. “On the issue of corruption, I have challenged anyone, anywhere, who has any evidence of corruption against me to come forward,” Abubakar has said. “I will shock everyone because I believe that I will fight corruption like never before.” But in the United States, Abubakar’s name has popped up in a Senate investigation into money laundering. The couple are also accused of having received more than two million dollars in commissions for a contract with German industrial giant Siemens, which has since pleaded guilty in the case. But this week Abubakar put paid to rumours that he was subject to a visa ban and unable to travel to the US by jetting to Washington for meetings with American counterparts. Abubakar told AFP last year he would retain no stakes in his various companies if he is elected president. His sprawling business empire includes interests in telecommunications, transport, real estate, agriculture, import/export and healthcare. Verifying his pledge to stand aside will be difficult in the opaque economic system in Nigeria, which global watchdog Transparency International ranked in the 148th place of a total 180 countries for corruption in 2017. Buhari stands in stark contrast to his flamboyant fellow northerner’s private jet, Rolex watches and luxury cars. His spokesman in 2015 said the president had “an austere and spartan lifestyle”, unlike other Nigerian politicians who have amassed wealth during their careers. 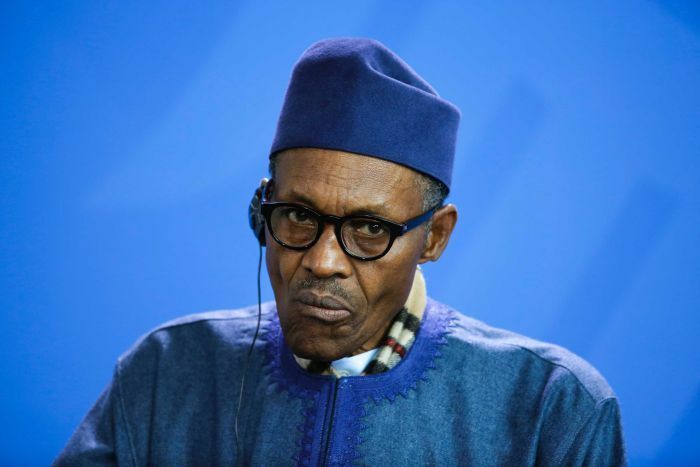 But Buhari, who vowed to usher in more transparent and accountable government, has come under harsh criticism for an apparent lack of progress in the fight against graft. Steps in the right direction have included two essential reforms — a single Treasury account for all government revenue and the introduction of a biometric identification system in banks to better trace clients and transfers of funds. “Those are the two areas I commend the government,” said Saadatu Falila Hamu, a specialist anti-corruption lawyer based in Abuja. “But despite this, the government has focused their fight against corruption on people of the opposing political parties.” Hamu also faulted Nigeria’s main anti-corruption body, the Economic and Financial Crimes Commission (EFCC), for “inefficiency”. In November, EFCC director Ibrahim Magu boasted having seized the equivalent of $2.3 billion as well as sumptuous villas, jewellery, and cars — but often outside legal procedures. Buhari has pledged to review all oil exploitation contracts to be renewed after this year. Such an electoral promise “can either lead to total chaos in the industry or lead to sanity”, said analyst Soji Apampa. Nigeria depends on oil sales for 70 percent of its revenues. In 2013 under president Goodluck Jonathan, the head of the central bank reported a $20 billion shortfall in revenue — a scandal that helped bring about Jonathan’s fall and Buhari’s election in 2015. Nevertheless, the state-run Nigerian National Petroleum Corporation, considered a slush fund for successive governments, remains notoriously opaque and Buhari — who is also oil minister — named a close associate to head it. “Imagine a broken pipeline with all of Nigeria’s resources flowing through it. Instead of fixing the hole, you bring a man with a whip” to deter people from stealing, Apampa said. “We haven’t seen a government with an elaborate plan” to repair the pipeline, he added. The opposition People’s Democratic Party (PDP) confirmed in an emailed statement that its candidate, Atiku Abubakar, had not participated in the signing ahead of February’s election. President Muhammadu Buhari attended the event in the capital, Abuja. The peace accord ceremony was held days after the PDP said authorities had frozen the bank accounts of its vice presidential candidate, Peter Obi. Elections to choose the leader of Africa’s most populous country — the continent’s top oil producer and by many measures its largest economy — have in the past been marred by violence, vote-rigging and voter intimidation. The ceremony was an attempt to mirror the signing of an acclaimed deal ahead of voting in 2015, when Buhari came to power. It was credited with helping prevent a repeat of violence in the wake of the 2011 election, which Human Rights Watch said killed 800 people and displaced 65,000. The accord aims to ensure that the 2019 elections are “free, fair and credible,” the document said. Signatories pledged that their campaigns would refrain from “religious incitement” and “ethnic or tribal profiling,” and that they would not incite violence, according to the document. The PDP said it was investigating the circumstances behind the “unfortunate communication lapse” between party officials and the National Peace Committee (NPC), the nongovernmental organization that arranged the event, which resulted in Abubakar’s absence. “Our presidential candidate Atiku Abubakar and the party are fully committed to a peaceful electoral process and elections in 2019,” said PDP spokesman Kola Ologbondiyan in an emailed statement. The NPC earlier said it had sent invitations for the event to all 91 registered parties and the 73 presidential candidates. Independent observers for the 2015 race, the first time the agreement was signed, have since praised the accord for helping Nigeria pull off its first-ever peaceful transition from the ruling party to the opposition. Buhari defeated the incumbent Goodluck Jonathan. Nigeria’s main opposition party said authorities had frozen the bank accounts of its vice presidential candidate in the run-up to elections next February. 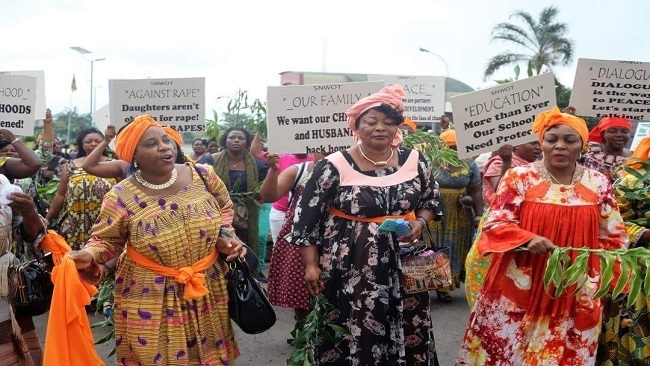 The People’s Democratic Party (PDP) said late on Saturday accounts belonging to Peter Obi, its vice presidential candidate, his wife, family members and their businesses had been blocked by government agencies. The PDP did not identify them. The presidency could not be reached for comment. “Why is the presidency on a wild goose chase in investigating Peter Obi, who left office as Governor of Anambra state five years ago with a nationally acclaimed clean record,” the PDP said in a statement. President Muhammadu Buhari last month launched his campaign for re-election for a second term, running on his track record on corruption. Buhari’s handling of a struggling economy will also be a central campaign issue. PDP presidential candidate Atiku Abubakar, a former ally to Buhari, chose as running mate Obi, 57, to generate support in the southeast region, which includes Anambra, where the president has polled badly in past elections. Geographical affiliations in Nigeria are crucial in a sprawling nation of 190 million people from 250 ethnic groups. With a tight race in prospect, a strong showing in the southeast could give the PDP enough votes to deny Buhari, a former military ruler, a second four-year term. PRESIDENT Muhammadu Buhari, yesterday for the fourth time, rejected assent to the Electoral Bill which was passed to him to sign into law by both the Senate and the House of Representatives. President Buhari who has written to the lower and Upper chamber said that he could not sign the Electoral Bill into law at this time that the country was preparing for the 2019 Presidential and general elections, adding that he could only assent to it after next year’s elections. He said that if it was done now, it would endup causing uncertainty and crisis in the land. Meanwhile, the PeoplesDemocratic Party Presidential Campaign Organization, PPCO, has charged membersof the National Assembly to save thenation’s democracy by immediately overriding President Muhammadu Buhari’srefusal to sign the amendment of the Electoral Act. In the letter dated 6th December, 2018 and addressed to both the Senate President, Dr. Bukola Saraki and Speaker, House of Representatives, Honourable Yakubu Dogara which was received yesterday, President Buhari said that he would only sign the bill after the elections, just as he identified some aspects of the bill that should be corrected by the lawmakers. President Buhari’s letter read, “Pursuant to Section 58(4) of the Constitution of the Federal Republic of Nigeria ( 1999 as amended), I hereby convey to the Senate my decision on 6th December, 2018 to decline assent to the Electoral( Amendment) Bill, 2018 recently passed by the National Assembly. “I am declining assent to the bill principally because I am concerned that passing a new electoral bill this far into the electoral process for the 2019 general elections which commenced under the 2015 electoral act, could create some uncertainty about the applicable legislation to govern the process. Any real or apparent change to the rules this close to the election may provide an opportunity for disruption and confusion in respect of which law governs the electoral process. “This leads me to believe that it is in the best interest of the country and our democracy for the national assembly to specifically state in the bill that the electoral act will come into effect and be applicable to elections commencing after the 2019 elections . In its reaction, the PDP Presidential Campaign Council in a statement by the Director, Media and Publicity, Kola Ologbondiyan on Friday said the legislative action has become imperative as the President’s decision is “a calculated attempt to hold the nation to ransom, inject crisis into the electoral process and ultimately scuttle the conduct of the 2019 general elections.” The statement read in part: “President Buhari’s repeated refusal to sign amendments passed to check rigging of election, raises issues of his sincerity of purpose and has the capacity to trigger political unrest and violence, which can, in turn, truncate our hard-earned democracy. “The PPCO invites Nigerians to note that this is the fourth time President Buhari is withholding assent on the amendment, without any cogent reason following his rejection by Nigerians. “Nigerians can recall how the Presidency plotted to plunge the 2019 elections into a needless controversy by delaying the submission of the election budget to the National Assembly, presenting it at the time the legislators were commencing their annual vacation and asking for virement of funds already approved for development projects, instead of sending a fresh supplementary budget for the election. “It is unfortunate that Mr. President, in his desperation to hold on to power, has resorted to taking steps that are capable of destabilizing our nation, just because the people are resolute in voting him out of office democratically. “It is also instructive to note that President Buhari is mortally afraid of the amendments because they essentially checked the All Progressives Congress, APC, rigging plans, including the use of underage and alien voters, vote-buying, alteration of results and manipulation of voter register”. Nigeria’s former vice-president Atiku Abubakar will be facing Muhammadu Buhari in presidential polls slated for February 2019. 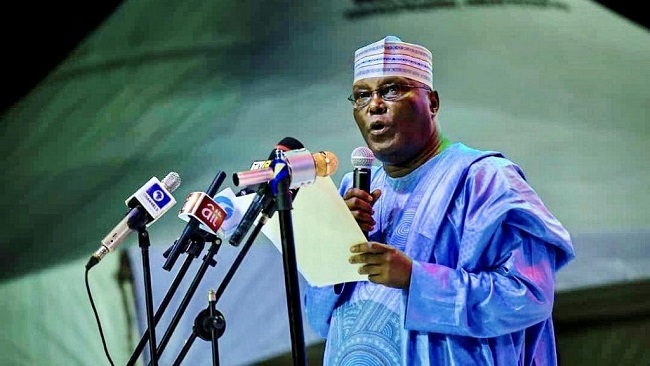 Atiku on Sunday clinched the main opposition Peoples Democratic Party, PDP, ticket at a congress held in Port Harcourt, Rivers State. He beat off competition from Sokoto State governor, Aminu Tambuwal, Senate President Bukola Saraki and others. Atiku polled over 1,500 votes as against closest contender Tambuwal who got 693 votes. The top five candidates were as follows: Atiku 1,532 votes, Tambuwal 693, Saraki 317, Kwankwaso: 158 and Ahmed Dankwambo 111. “PDP, thank you for choosing me. This is a victory for all of us. The task to get Nigeria working again starts now,” said in a tweet shortly after he was declared winner.